I am sorry for your loss. Grief is perhaps the most disconcerting experience that you will ever have. Unfortunately, it is not an option, or something that you can put aside until you are ready to deal with it. Grief takes you along for the ride, not vice versa as it comes in waves, often taking you quite by surprise. You cannot even prepare for the loss of a loved one because the pain of grief is deeper and more profound than you ever imagined possible. Which is why people often try to shut it down, terrified of opening the door and never being able to shut it again. It really can seem like this pain which is too much to bear will never end. You can however, organize your life so it is easier to ‘take a break’ to grieve without having to worry about ‘what you need to get done’. And you can allow yourself to go through the grieving process rather than repressing and holding onto it – which just keeps the pain inside. 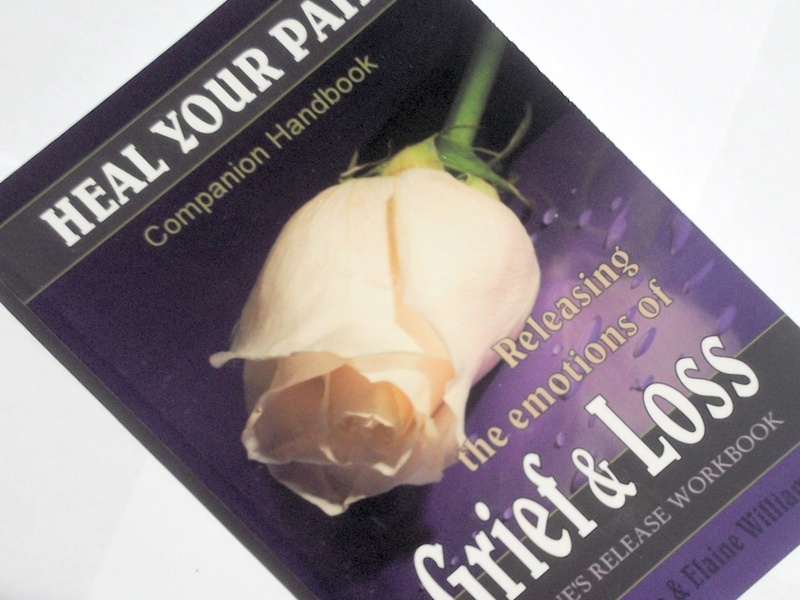 Heal Your Pain: Releasing the Emotions of Grief and Loss is a very special workbook that I co-authored with a grief client Elaine Williams, who happened to be an award winning author. Until now, grief has been a journey of trying to cope and deal with something so painful and distressing that it shakes you to the very core of your being. Until now grief has been a roller coaster ride of distress, pain and long term implications of this traumatic experience. Heal Your Pain sets forth a clear path through grief and mourning, with simple step-by-step direction, and an effective way to completely and permanently release the pain – using a version of the Greene’s Release Technique – the Greene’s Emotional Release. Heal Your Pain includes support and guidance for those who are struggling with a new grief, as well as for those who wish to heal the pain of a loss that occurred years, or even decades ago. Heal Your Pain makes it possible to heal and recover from this traumatic wound, and rebuild your life. There is life after loss…. Release your stored emotional pain. Dissolve overwhelming emotions as they surface. Heal and release the emotional trauma from all the ‘events’ that accompany loss. Hearing the diagnosis, experiencing loss, the aftermath, funeral, reorganizing your life, the firsts etc. Eliminate excessive worry and mind chatter. Learn how to complete tasks the easy way. Undertake simple, fun activities to help you take care of you, improve your mood and reawaken your energy.